Awesome article, as always from AT. Between the article and the 100+ comments above this one, almost all my Conroe questions have been answered. Wow is all I can say. I don't think there's ever been a performance jump quite like this. AMD will still do ok (not win mind you) on the low-end, where most people live, but the mid-range and high-end is so overwhelmingly in Intel's camp now there's just no comparison. AMD would have to go to 3.4Ghz+ to even be competitive (and still not win mind you). My office computers will continue to be AMD Sempron for the forseeable future (AM2 from now on of course), but next time someone wants a CAD box I don't see how I can quote anything but Core 2 Duo. Also, loved the dinner table analogy on page 13. If I were to upgrade to the cheapest solo I would probably have to pay 500 dollars or more (new cpu, mb and memory) and I will probably get ~ performance in games. I stopped overclokcing a long time ago (except for maybe 10%) because I am tired of my new system becoming unstable after 4 months (plus I don't really need it anymore since nothing I do is really cpu limited). 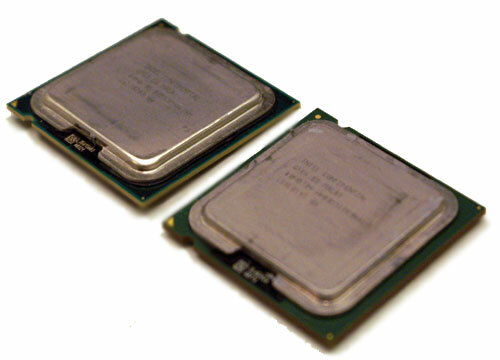 98% of people actually buy the cheapest CPUs in a range (A64 2800-3200, x2 3800, C6300). That's where the real competition will be and frankly I'm not impressed at all, A64 is an ~3years old processor and intel's newest product can only beat it by 20%? As far as I can remember the Athlon 3200+ was even worse in comparison to P4 3,2 Ghz and most people still bought the 2500+ Bartons ... So I wouldn't worry too much if I were an AMD stock holder, especially that it looks like Opterons still have no competition in the multi cpu servers (more than 2 ...). 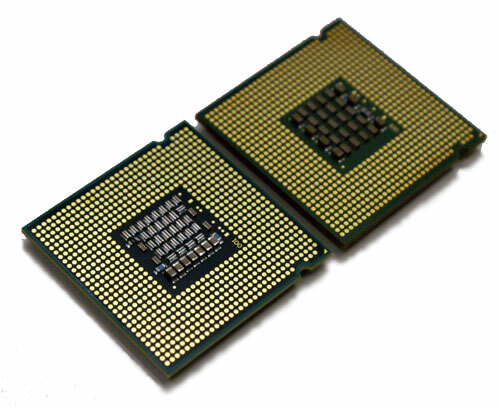 98% of people actually buy the cheapest CPUs in a range (A64 2800-3200, x2 3800, C6300). That's where the real competition will be and frankly I'm not impressed at all, A64 is an ~3years old processor and intel's newest product can only beat it by 20%? First off, why mention Core Solo when it's totally unrelated to this article and any of the comments? Second, socket 939's days are already numbered. You'd have to pay the same $500 to upgrade to the AM2 processors benched in the article, so mentioning this as a diss to Core 2 Duo is pretty weak. So you'd have the option of spending $500 to upgrade to a E6600 setup that would beat out a $1200+ AM2 setup. Sounds like a no-brainer. And if you think AMD's going to slash prices below Intel's parts I don't think you can hold your breath that long. And 98% of people don't even build their own computers, they buy tier-1... who aren't making nearly that percentage of their systems with the lowest end parts. Dude, 20% is a HUGE margin when you are talking competitive benchmarks. When A64 was released back in 2003 it had about a 10% edge on the P4 and people were lauding it for it's leap in performance, and rightly so, considering the AXPs were getting beaten by 10%, so it was a 20% turnaround altogether. This time around, it's even more impressive from Intel as they have turned a 10 - 20% performance deficit into a 20% advantage, you really can't expect much more than that, can you? 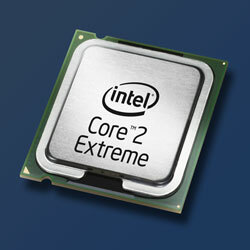 What did you expect Intel to do, double A64 performance? I'm sure if they ran their chips @ 4GHz/400FSB they might be able to get close to that, but what is the point when you have beaten your competition so convincingly already?